AVAILABLE TO PURCHASE WITH NO ONWARD CHAIN THIS BEAUTIFULLY PRESENTED GROUND FLOOR TYNESIDE FLAT SITUATED ON THE MUCH SOUGHT AFTER SHORTRIDGE TERRACE, JESMOND. Retaining an abundance of period features, this well appointed property is positioned within easy reach of local amenities including Rehills Convenience Store, Peace and Loaf restaurant and Jesmond Dene as well as the vast array of restaurants, shops and bars that Jesmond has to offer. 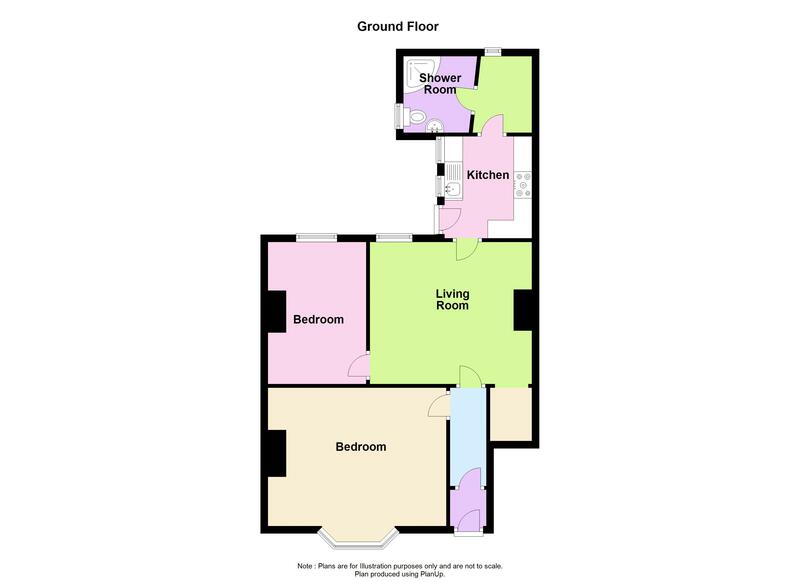 The internal accommodation comprises: entrance porch, entrance hall, lounge, kitchen, 2 double bedrooms and a shower room/wc. Externally there is a town garden to front and a private decked yard to the rear. Fitted with a range of wall and base units, work surfaces, 1 1/1 bowl sink unit, built in electric oven, built in electric hob, extractor hood, part tiled walls, integrated dishwasher and a window to the side. Double glazed bay window to the front, alcoves, solid wood floor, coving to ceiling, picture rail, ceiling rose and a radiator. Sash window to the rear, feature fireplace, solid wood floor, alcoves and radiator. White 3 piece suite comprising a step in shower cubicle with electric shower, pedestal wash hand basin and low level wc, laminate tiled floor, LED spotlights, shaver point, double radiator, extractor fan and a double glazed frosted window to the side.